Too many salespeople either fail completely or never really succeed because they think selling is about them. It isn’t. In other words, be alert to a customer’s hopes and fears — what they want to gain and what they don’t want to lose. That’s what they care about, not a sales pitch. Far too many salespeople are not really there when they’re with customers. Sure, they’re talking and seemingly involved, but they come across as if they’re more interested in making the sale than they are in understanding and satisfying their customers — and customers know it. Want to instantly get better at life? The answer is sometimes as easy as downloading an app. These days, there really is an app for everything, from instantly finding any file you’ve ever saved to having your car’s gas tank filled up while you’re at work. The 23 apps below won’t just make you a more successful salesperson -- they’ll make you a more successful person, period. Better yet, they’re all relatively undiscovered. You just gained a competitive advantage. Are You a Cold Calling Failure? If you’re like me, it’s not so much the fact of cold calling that you hate, it’s the results (or lack of) that has you filled with despise. ​If eight out of 10 cold calls resulted in a sale, I’m sure you would have a different view of making those cold calls. So let’s fix the problem. If we are going to come up with a solution, we first need to identify the problem. And when it comes to cold call failures, there’s a whole list of possible culprits. Efficiency is a major key to the success of each and every insurance agency. But while it seems like an obvious factor to consider, it’s often largely overlooked. The challenge for agents begins with setting priorities and determining the best ways to meet goals. At the end of the day, efficiency is really about improving performance and maximizing time and effort. And it’s something that every agency needs to consciously address. Here are the top three tips to make your practice run much more efficiently and, in turn, boost your bottom line. First and foremost, you’ll be more likely to land the sale when you understand the buyer’s reasoning. 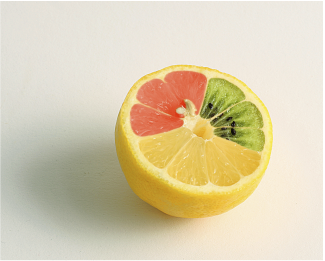 All too often, agents spend too much time and effort on the hard sell, ignoring what makes each sales opportunity a bit different from the one before. Learn to maximize your time. Become a better listener, and figure out what makes each client unique. Make sure you’re in command of the situation by quickly educating the client on how the product fits their specific needs. That means approaching the sale from the buyer’s perspective. Break it down and avoid complicated insurance terminology whenever possible. Instead, you should serve as the financial educator. Certainly you can try to recover from the “I’m not interested” response. You can gently ask why (in a tone that says you’re confused and really, really want to know the answer). 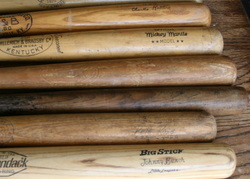 If you ask why, prospects will explain what they mean, which can be very helpful for fine-tuning your pitch. The game Six Degrees of Kevin Bacon teaches us that we are all connected, sometimes in unexpected ways. Have you ever played the game, “Six Degrees of Kevin Bacon"? Or perhaps you've seen the Kevin Bacon Visa Check Card ad from 2002? The concept is simple: We’re all connected … sometimes in the most absurd and unbelievable ways. “Everyone is a prospect until they become your client or you attend their funeral.” This sounds like old-school selling or something you’ll hear watching Glengarry Glen Ross. It is, however, the attitude of one of LIMRA's Top 25 Rising Stars of Distribution Under 40 for 2016. Jay Stubbs is unusually successful for a guy his age, and he's become so by combining historically tried and true marketing and networking techniques with new ideas to reach the next generation. At the same time, he continues to build business with older clients, the ones we’d typically associate as targets of insurance sales. Along the way he's built a business that would make many jealous. I asked Stubbs what he's done differently to grow his business. His tactics aren't unusual, but he's applying them differently to appeal to different generations. For example, networking is often the bones of growing a financial services business and Stubbs certainly networks a lot. Most people his age aren't great networkers so he instantly stands out. He's not only networking, but taking leadership roles in his local civic organizations — typically full of older members, so an under-40 participant, again, stands out. And Stubbs doesn't wait his turn for leadership. He immediately seeks responsibility. With responsibility, Stubbs has learned, comes member contact lists, which he judiciously utilizes to further his networking. LOS ANGELES – June 7, 2016 – A new survey commissioned by the national non-profit Transamerica Center for Health Studies (TCHS) shows the percentage of uninsured millennials has declined to 11 percent – an all-time low for this population – however, more than half of millennials (54 percent) have been diagnosed with a health condition. The most common health conditions that millennials are facing include depression (17 percent), weight issues (15 percent overweight and 7 percent obesity) and anxiety disorders (14 percent). The percentage of uninsured millennials has steadily declined from a high of 23 percent in 2013, while the percentage of millennials who are insured privately, not through an employer or publicly has increased since 2014. African Americans and Latino millennials are the least likely to be insured (15 percent and 17 percent respectively are uninsured). Very few Asian/Pacific Islander millennials are uninsured (3 percent). Uninsured millennials are significantly less likely than insured millennials to say they are in excellent or good health (62 percent vs. 79 percent, a 17 percentage point gap). Life and health insurance agents who want to stay ahead of their competition might consider becoming experts at funding medical costs in retirement, a health care financing expert said. 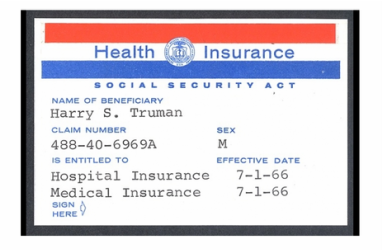 Simple math will dictate that it’s only a matter of time before health care costs eat away at the what retirees can expect to take home in Social Security, said Ron Mastrogiovanni, CEO of the health care cost projection software firm HealthView Services. Advisors don’t need a degree from Caltech, or even expertise in Medicare financing, to understand that health care inflation threatens to rob clients of a comfortable retirement unless they follow a health care retirement financing plan, he said. 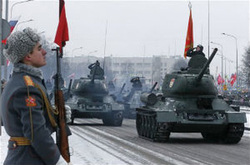 “It’s not that complicated in terms of what we need to know in terms of how to plan effectively,” he said. 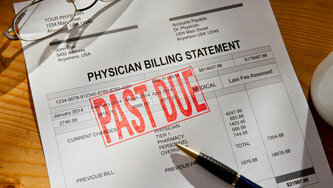 ​at the cost of health care in retirement or grouse that they don’t know much about the nuances of Medicare. Many advisors themselves are uncomfortable with projecting health care costs in retirement until they come across simple, clear and easy software applications complete with webinars and help desks to get them through the calculations, Mastrogiovanni said. Nobody likes receiving a canned sales presentation. Insurance can be a dry subject for many people so it’s especially important to maintain a good balance and respect for each contact. Employing a well-formed and organic sales call script makes connecting with insurance prospects more effective, from providing the right tone for your pitch to ensuring eloquent presentation of all topics. Well-crafted sales pitches and charming manners go a long way in closing a lead. The makeup of the perfect sales call varies from person to person. Presenting a compelling pitch, backed by solid information and delivered with an interested and affable demeanor often concludes in what everyone agrees is the mark of cold-call perfection – closing the deal. When discussing insurance policies, as with any sales call, go into the session with a goal in mind. The ultimate prize being of course, an in-person meeting to close a sale. However, understand that there is value in other results, even if it is just getting a foot in the door or getting the name of the right contact person in a company or the decision maker. Lauren Faustini struggled for many years to find an adviser who was not solely focused on her money. Most of the advisers she worked with just made investment recommendations and barely knew her name. Now her adviser listens to what she needs, takes notes and helps with all her concerns, including finding her an elder attorney when her father-in-law's health was failing. “Advisers should be more in touch with a woman's situation instead of just advising them on what to do with their money,” Ms. Faustini said. It's time for advisers (and statisticians) to quit lumping all women together when it comes to their investing needs and what they ultimately expect from a financial adviser. What one woman wants is often very different from another based on where they are in their lives. For instance, a woman just starting out in her career and a wealthy widow have distinct money fears and goals, and often resemble their male counterparts in those same life stages more than they do each other. Health concerns loom large in employees’ minds, particularly the financial aspects — which can be catastrophic. ​But while many of those concerns could be allayed by disability insurance, employees don’t seem to know enough about it to benefit. That’s according to Lincoln Financial’s special report “M.O.O.D. (Measuring Optimism, Outlook and Direction) of America on Employee Benefits,” which found that only 18 percent of employees feel very confident that they could pay the resulting bills if they were struck by serious illness or injury. With affluent boomers heading into retirement and the gradual, but undeniable, decline of the once vaunted middle class, financial advisors have fewer opportunities to add assets under management. One hot spot for advisors, though, is the next generation of high-net-worth and ultra-high-net-worth investors. These younger, more technologically driven prospects are the sons and daughters — even grandchildren in some instances — of highly affluent investors in their 60s, 70s and 80s. According to U.S. Trust Insights on Wealth and Worth, children of affluent boomers can expect to receive “trillions” in inheritance wealth. The nationwide study of 642 adults with at least $3 million in investable assets — including 37 percent with $3 million to $5 million, 31 percent with $5 million to $10 million, and 32 percent with more than $10 million — shows they have weathered the storm from the Great Recession and are ready to hand off assets to their children in the next decade. Like most affluent investors, that next generation of HNW and UHNW investors offers a financial “sweet spot” for wealth managers. The upper end of HNWI caps out at approximately $5 million. You've drawn in new business with your successful prospecting efforts. You have scheduled several new-client meetings and developed a list of compelling, thought-provoking questions to elicit responses that can help you better understand each person and their needs. Your new client is now sitting across from you at your office table, and you have started the annuities conversation. What should you highlight to strengthen the case for buying into a fixed indexed annuity (FIA)? 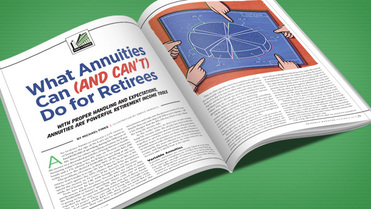 Retirees and pre-retirees tend to have the same qualms about investing in annuities. In general, advisors need to educate clients about the benefits of annuity ownership while countering negative perceptions about the product. It’s important to emphasize that an annuity is an excellent long-term financial investment with a number of unique benefits that sets it apart from other retirement finance vehicles. Understanding the six most common client concerns and conveying a FIA’s specific features and benefits in your new-client conversations can pave the way to sales success. Braintree, MA. (April 7, 2016) — Ending the strongest quarter yet of the current expansion, U.S. application activity for individually underwritten life insurance was up 4.9% in March year-over-year, all ages combined, according to the MIB Life Index. ​Life Insurance application activity was up 5.4% Q1-2016 as compared against Q1-2015. Since its initial positive breakout in Q3-2014, the MIB Life Index has been progressively stronger in each successive quarter. March’s application activity was off -1.2% from that of February, tempered by February’s robust results. U.S. life insurance application activity increased across all age groups; it is the fourth consecutive quarter where younger age life insurance activity (ages 0-44) has led all others. 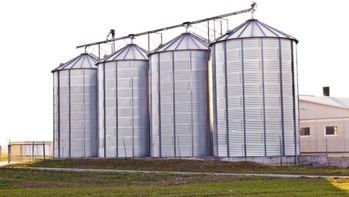 Some members of the NAIC's LTC Innovation Subgroup want to go beyond the stand-alone LTCI silo. The subgroup, part of the Senior Issues Task Force at the National Association of Insurance Commissioners (NAIC), has adopted proposed charges that call for it to "review the number of alternative products structures being developed, and, in some cases, sold by companies (i.e., long-term care/life combination products, term products, and universal long-term care insurance policies." The subgroup hopes to "consider whether these are viable alternative products and what other types of products may assist in financing long-term care costs," according to the proposed charges. The Senior Issues Task Force adopted the subgroup's proposed charges during a conference call meeting in February. When it comes time to discuss retirement planning with your clients, focus on the core thinking behind their goals: building financial security for the latter part of life. Given recent market uncertainty, your clients may be more inclined to take a conservative approach to their investing. Recommending financial vehicles that maintain a balanced portfolio can offset market concerns and set your clients up for a comfortable retirement. One of the best ways to help a client build confidence in his or her financial plan is by recommending the client lock in a portion of his or her savings into a guaranteed lifetime income using a fixed annuity. A fixed annuity complements an existing investment portfolio while helping ensure your client generates income for his or her post-retirement years — regardless of how the market performs. In addition, a fixed annuity can easily be positioned for your client, no matter what the retirement income situation may be, as it can be turned from an accumulation vehicle to an income stream if your clients determine they need supplemental income. As such, it’s important to talk with your clients about when they may plan to take income from the annuity so that you can best position the right type of fixed annuity. The fixed indexed annuity (FIA) just celebrated its 20-year anniversary. Introduced in 1995, FIAs have lived up to their promise: to protect premium and credit interest from market risk and ensuring the safety of the invested principal. 1995: With the assistance of Genesis Financial of Canada, in February 1995, Keyport Life introduced the first equity-linked indexed annuity, the KeyIndex. The first indexed annuity was purchased on February 15 by a 60-year-old Massachusetts man for a premium of $21,000. The account value at the end of a five-year term was $51,779. 1996: More and more carriers began to offer indexed annuities, with 20 carriers offing FIAs by the end of 1996. More than $1.5 billion in FIA sales were reported for the year. 1997: The Securities and Exchange Commission (SEC) began grappling with how to regulate indexed annuities—whether to classify them as securities or not. 1997 ended with more than $3 billion in FIA sales and 37 carriers offering this type of annuity. ARLINGTON, Va., March 02, 2016 (GLOBE NEWSWIRE) -- Motivated by the need to meet the changing needs and lifestyles of an increasingly diverse workforce, 92% of U.S. employers believe voluntary benefits and services (VBS) will be important to their employee value proposition over the next three to five years, according to a survey by Willis Towers Watson (NASDAQ:WLTW). This compares with 73% in 2015. The findings from Willis Towers Watson’s 2016 VBS Survey reflect that as cost pressures from providing traditional core benefits continue, employers are viewing VBS as an inexpensive way to enhance their portfolio of benefit offerings. Your client is sitting on the other side of the desk. You’ve wrapped up the small talk and you’re both halfway through your mugs of coffee. So how do you bring up the topic of annuities? There’s no single best way to begin the annuities conversation, says John Roberts, marketing director for Orange County, Calif.-based TWH Annuities and Insurance Agency Inc. in a blog originally posted on the InsuranceWebX site. “It all depends on the depth of your relationship with a client,” Roberts says, adding that the approach varies according to how long and how well you know the client. You’d have to tailor your approach depending on whether the client is a new referral, someone you met at a networking function, someone who’s been a health or life client for many years, or a friend or relative. There is a big difference between using old and tired lines and asking clients some thought-provoking questions. Roberts says that although agents shouldn’t have opening lines, there are some conversation starters that work to facilitate a give-and-take dialogue. Agents can include questions in conversations to elicit responses that will help determine whether annuities are appropriate for the client – or not. We’ve long tracked in this space the alarmingly high number of Americans who remain uninsured. Last September, LIMRA pegged the life insurance “coverage gap” — or the total of life insurance needs less life insurance in-force — at a whopping $16 trillion. That’s up from $15 trillion in 2013. One reason for the gap is the perception that Americans have about the cost of life insurance. As we noted in the prefacing text to an infographic we posted in August, many U.S. consumers overestimate the cost of life insurance: millennials by 213 percent; and Gen Xers by 119 percent. In respect to life insurance, the disconnect is particularly jarring. Whereas less than half of the survey respondents say they would buy life insurance for the benefit of loved ones in the event of their passing, more than 40 percent also acknowledge that surviving family members would “feel the financial impact” of their death within months. Now that the department of Labor (DOL) fiduciary rule has survived the budget process, virtually assuring its path to adoption in 2016, it is time to give some thought as to what this rule will likely mean for the future design of annuity products. To predict how annuity products may change going forward, we must first understand that under the proposed DOL fiduciary rule, advisors will have two options for providing individual retirement account (IRA) recommendations. Option #1: Advisor serves as a fiduciary under ERISA. This option eliminates all conflicts of interest between the client and advisor. For example, commissions will no longer be an acceptable means of compensation. Advisors serving as a fiduciary under ERISA must either charge an hourly rate, a flat fee or a flat percentage of assets under management regardless of the asset class. It is important to note here that an ERISA fiduciary differs greatly from a fiduciary under the Investment Company Act of 1940 (’40 Act). Since I am not an ERISA attorney, I won't attempt to explain the differences between the two in their entirety. Ultimately, the key distinction is that the ERISA fiduciary cannot have any conflicts of interest, while a ’40 Act fiduciary has to “pledge” to disclose and manage the conflicts. The most recent retirement market analysis from LIMRA Secure Retirement Institute predicts that over the next 10 to 20 years and beyond, there will be an unprecedented migration of people and assets moving into retirement. By 2025, says LIMRA in The Retirement Income Reference Book 2015, a reference that provides insights on the retirement market and that addresses the various facets of both planning and managing retirement income, a whopping 66 million Americans will leave the workforce and retire. That number is even more significant when one realizes that within the next 10 years, the number of retirees in the U.S. will increase by 40 percent from the current figure of 48 million retirees. The skyrocketing number of retirees, largely from the Baby Boomer generation, will shift a considerable $25 trillion in assets toward retirement income, roughly double the amount available today. In addition, investors aged 60 and older control nearly 60 percent of all financial assets in the U.S.
Today’s insurance product marketplace is flooded with options, leaving most clients familiar with the overwhelming feeling that they must choose one. Insurance carriers, however, have answered this issue with product innovation — and the next product trend may be one that allows clients to combine the guarantees of traditional whole life insurance with the upside participation potential of an indexed universal life insurance (IUL) product. A whole life insurance policy is a permanent policy that provides for a guaranteed death benefit on the death of the insured in exchange for set, guaranteed premium payments. The carrier issuing the policy invests a portion of the premiums, building cash value in the policy that the insured can borrow against in the future. These policies also typically provide annual dividends, which can be used to further build the cash value of the policy. Indexed universal life insurance policies, on the other hand, are cash value life insurance products that are tied to a specific stock index (or indexes, such as the S&P 500) and provide returns based upon a formula that is correlated to market performance. These policies often come with both an earnings cap and an earnings floor, so that, for example, the policy might earn no more than 10 percent but no less than 2 percent, meaning that the policy can continue to grow even in an economic downturn. Clients who are interested in the market participation and downside protection investment components of indexed universal life may, however, also be drawn to the guarantees provided through a traditional whole life policy. Ah, tax season: that time of year when clients and advisors alike are faced with a string of uncertainties and unanswered questions. How are single premium life insurance policies taxed? 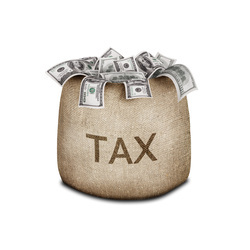 How can the generation-skipping transfer tax exclusion be leveraged using an ILIT? Find answers to these and other ponderings in our timely tax primer. Q: Are premiums paid on personal life insurance deductible for personal tax purposes? A: No. 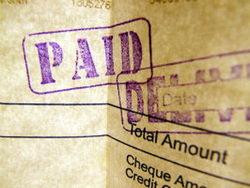 Premiums paid on personal life insurance are a personal expense and are not deductible.Internal Revenue Service (“IRS”) regulations specifically provide that “[p]remiums paid for life insurance by the insured are not deductible.” It is immaterial whether the premiums are paid by the insured or by some other person. For example, premiums paid by an individual for insurance on the life of his or her spouse are nondeductible personal expenses of the individual. Premiums are not deductible regardless of whether the insurance is government life insurance or regular commercial life insurance. Although life insurance premiums, as such, are not deductible, they may be deductible as the payment of alimony or as charitable contributions. Q: Is the interest increment earned on prepaid life insurance premiums taxable income? A: Yes. Any increment in the value of prepaid life insurance or annuity premiums or premium deposit funds constitutes taxable income in the year it is applied to the payment of a premium or is made available for withdrawal, whichever occurs first. The interest treated as taxable income, however, will be included in the cost basis of the contract. Thus, for purposes of IRC Section 72, the cost of the contract would be the amount of premiums paid other than by discount, plus the amount of discounted funds and any increments on such funds that were subject to income taxation. The rule taxing interest increments has no applicability, however, to single premium policies. A later ruling explains in detail how the interest will be taxed. Insurance provides continue to roll-out new annuity products to meet demand for lifetime income products, even as the Department of Labor finalizes a fiduciary rule that could severely impede how industry markets those products. The Insured Retirement Institute’s annual state of the industry report suggests demand for lifetime income products is strong, and likely to grow in light of an aging country. 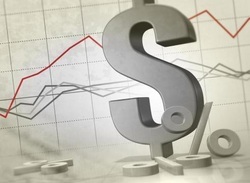 Sales of Investment Oriented Variable Annuities have grown 94 percent over the past five years, and now make up 16 percent of all variable annuity sales, the report found. 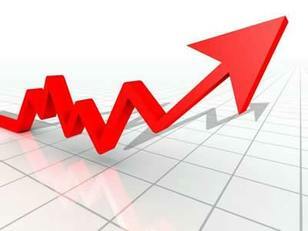 Sales of fixed indexed annuities have increased 50 percent since 2011. The number of insurers offering deferred income annuities has doubled since 2012 and are expected to hit $2.6 billion sales this year, more than double the $1 billion in sales for DIAs in 2012. And qualified longevity annuity contracts, or QLACs, were a remote option as recently as 2014, when only one provider offered the products. But regulation from the Department of Treasury last year encouraged wider adoption of QLACs. QLACs allow retirement savers to defer as much as $250,000 in IRAs and 401(k) plans into contracts that begin making monthly payments at age 85. Fixed indexed annuities (FIAs) are a great investment option for many people, especially those who are nearing or concerned about their retirement and who are looking to ensure that they have sufficient finances to support their lifestyle. Recent research from the Insured Retirement Institute, 2015 Fixed Indexed Annuity Distribution Trends, reveals that consumer interest is high across the board for fixed indexed annuities. “While they are not very likely to ask about [FIAs], almost 40% of distributors believe their customers are completely open to using them in their portfolios,” says the report. According to the IRI survey results, approximately 70 percent of consumers from all demographic groups are at least somewhat receptive to purchasing FIA products, with nearly half (47%) either very receptive or extremely receptive about using them as part of their portfolios. Brokers who are familiar with the various benefits of this unique annuity type can communicate the details to their clients. But, it turns out that there are specific demographic groups most receptive to hearing the FIA message. For a recent fixed indexed annuity study sponsored by Athene and done in conjunction with LifeHealthPro, research firm Beacon Technology Partners surveyed 543 brokers who sold at least one annuity product to a client within the previous 12 months, and who worked as an investment or insurance professional for a minimum of one year. The survey found that there are three product FIA selling points – the potential for earnings, high participation rates and guaranteed minimum interest rates. In addition, study participants say that they expect sales of FIAs this year to increase either substantially or somewhat over last year’s levels. Are Americans More Focused on Short- Or Long-Term Finances? When it comes to finances, are Americans short-sighted, or future focused? According to a brief from The Center for Retirement Research at Boston College based on data from a FINRA Investor Education Foundation online survey of 25,509 American adults ages 25-60 that looked at a state-by-state financial capability, workers are primarily concerned about their ability to satisfy their day-to-day needs and aren’t focused on their future finances—even if their day-to-day finances are under control. The study explores whether households of all ages and income levels are shortsighted when it comes to their finances. Individuals of all ages are clearly short-sighted, while the specific problems that trouble individuals vary by age and life stage, according to the CFRR brief. Distant needs such as retirement saving consistently take a back seat to more pressing, immediate concerns. And younger workers see less satisfaction because they’re concerned with repaying student loans. Middle-age workers are more concerned with lacking life insurance and with having a mortgage greater than the value of their home. Workers approaching retirement age are focused on repaying student loads and also having a mortgage greater than the value of their house. (CNN) Less than an hour after signing his first professional contract, 20-year-old Shaquille O'Neal had already spent his first million. "The first thing I wanted to do was relieve my parents of their jobs," O'Neal told CNN ahead of the new 2015-2016 NBA season in Oakland, California. "I (spent) a million dollars in about 45 minutes, but it was well worth it." The most dominant player in the league during his prime, O'Neal would go on to make a further $291 million in NBA salary alone, according to basketball-reference.com, while earning four titles before settling into life as an studio analyst for TNT's "Inside the NBA." "My momma is happy, her house is paid for; she had the car that she knows she would never get in her dreams, a Mercedes-Benz. My father (had) one, I had one. I was good," O'Neal says, reflecting on the overnight lifestyle upgrade that affects young professionals in the world's best paying league. "But now you have to educate yourself on how to maintain that, and a lot of people don't do that." A 65-year old American male has a 10% chance of living to the age of 96. Let's say he wants to fund $100,000 of spending during his 96th year of life. Since he values spending certainty, he’ll put the money in a diversified portfolio of long duration bonds. Assuming today's long-term 4% rate on 30-year corporate bonds and a 1% advisor fee, he’ll have to set aside $41,200 today to cover the desired $100,000 in spending at age 96. The problem, of course, is that 90% of the time our new retiree won't make it to age 96. He’ll live to 76, or 86, or 90. But he can't ignore the 10% chance that he’ll be around to spend the money in 31 years. If he doesn't set the money aside, he’d better be OK with living on Social Security. Now, let's say he has nine friends who are each in this predicament. Each one plans to invest $41,200 today to fund the $100,000 in future spending. Since only one of them is going to be around by age 96, why not pool these funds together for the one remaining retiree lucky enough to be alive in 31 years? They can call it a long life income club. Instead of setting aside $41,200, they can set aside $4,120. Even better, they can hire a third party to manage the investments and make sure the payment is made in 31 years. Maybe they can each chip in $5,000 to cover expenses — still a lot cheaper than the $41,200 they’d have to pay without the long life income club. As the reader knows, we don't have to start creating long life income clubs. We already have them in the form of insurance companies that sell annuities that pool retirees together to provide a stream of future income. The most popular types of annuities are those that blend features of an investment with a lifetime income option. But they aren't necessarily the most efficient way to create retirement income, and figuring out which one makes sense isn't easy. So let's take a quick look at the options. Life insurance truly is a multipurpose solution. Savvy financial professionals are leveraging the power of innovative life insurance strategies to counteract some key tax planning and estate transfer needs for affluent and super-affluent consumers alike. ​Definitions of wealth categories vary, but for the purposes of this article, affluent consumers are defined as having $1 million to $5 million in investible assets (excluding their home) and super-affluent clients as having $5+ million. 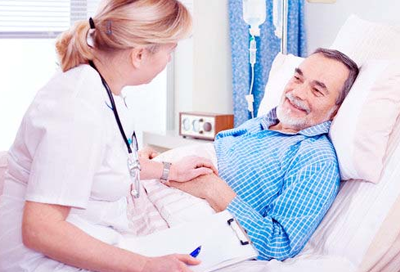 “The recent voluntary products, such as accident, cancer, critical illness and hospital confinement, emerged to help fill gaps not covered by major medical insurance,” says Rich Williams, senior vice president, growth markets, for Colonial Life in Columbia, South Carolina. Kathy O’Brien, vice president, voluntary benefits, for Unum National Client Group in Chattanooga, Tennessee, has been tracking the same trends. “The interest in voluntary benefits has been on a steady increase for the past several years, but we are seeing more and more interest in employee-pay products like accident, critical illness and hospital indemnity,” she says. “More employers are interested in voluntary benefits to supplement their benefit offerings to their employees, and it allows an employee to tailor their benefits to fit their own individual needs. This increased interest coincides with implementation of the Patient Protection and Affordable Care Act. With interest rates at record lows, trust-owned life insurance (TOLI) should be reviewed regularly to determine the risk of lapse. However, many trusts are administered by family members or others who lack the expertise to conduct policy reviews. Insurance agents have an opportunity to become a valuable member of the estate planning team by offering to review TOLI universal life policies and making recommendations for policies on the verge of lapse. As the cornerstone of an estate plan, TOLI enables the trust to provide a cash inheritance to survivors, to cover estate taxes, liquidate debit, or create a legacy through charitable gifts. But because of its long-term investment horizon to maturity, a trust-owned life insurance policy is often overlooked by those monitoring or managing the overall trust. According to an analysis of life settlements conducted several years ago, approximately 40 percent of life insurance policies sold in the secondary market involved trust-owned life insurance. However, given the recent developments explained above, it is likely the percentage of TOLI policies sold in the secondary market will increase substantially in the future. Insurance advisors have an opportunity to play a key role in salvaging TOLI policies on the verge of lapse. In cases where the policy is at risk of lapse without a substantial infusion of cash to keep it in force, the reviewing professional may want to recommend to the client that a life settlement is a prudent course of action to explore. Year-end client reviews are too often viewed as just another item to check off of an advisor’s to-do list. Instead, make them an important tool to strengthen your relationship with clients and remind them of the value you provide and the many things you’ve done for them during the last 365 days. It’s that time of year again when clients make the annual pilgrimage to your office to review their finances. 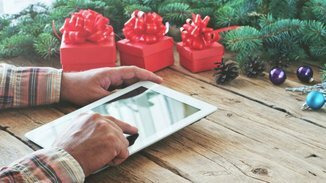 You make some small talk about the holidays, travel plans, kids and grandchildren, and then you run through a quick review of the relevant financial information. Everything looks good, see you next year. That’s an exaggeration, of course—most advisors put significant effort into making their year-end reviews beneficial for clients. Still, there’s a risk these meetings become perfunctory, especially when the clients’ lives and the financial markets have been uneventful. But structuring the meetings in order to get through them as quickly as possible can be a mistake. Doing so neglects an opportunity to do a better job for clients, strengthen your relationship and remind them about the value of the services you provide. Financial Planning offers both a print and digital edition. Founded in 1970 it has grown into a multi-media educational platform for advisors and is part of SourceMedia, an Observer Capital business-to-business digital media organization. The Financial Planning platform strives to provide news, information, opinions and the latest findings to support financial planners and assist them in their businesses. In addition to the magazine, Financial Planning also produces podcasts, conferences and newsletters. 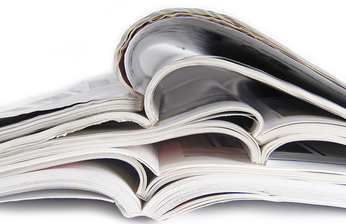 Current articles include “6 Smart Ways to Appeal to Executive Clients” and “It’s Not too Late to Save for Retirement,” along with updates on the latest news stories that influence financial planners and their clients. Nine out of 10 individuals who purchased short-term care insurance coverage in 2014 were age 61 or older according to a just released study by the National Advisory Center for Short Term Care Information. "Short-term care insurance is clearly seen as a benefit for seniors," declares Jesse Slome, director of the National Advisory Center. The new organization, established as part of the American Association for Long-Term Care Insurance, conducted the first industry benchmark study examining sales and buyer data on over 30,000 policies issued by nine leading insurers who market short-term care insurance policies. 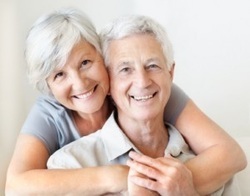 According to the study, just over half (51%) of buyers were between ages 61 and 70. Over one-third (36%) were between ages 71 and 80 when they applied for their short-term care insurance policy. "Some four percent were over age 80," Slome reports. 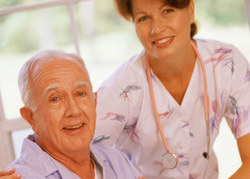 A number of short-term care insurance policies will accept applicants up to age 89. Nine percent of buyers were age 60 or younger according to the study. With baby boomers aging and average life expectancies rising, financial advisers are finding that they need to address elder care in their conversations with clients. Bernard Krooks, founding partner of the law firm Littman Krooks LLP and chair of its elder law and special needs practice, explains the health-related discussions that advisers and clients should be having, in a recent Take 15 interview with Lauren Foster. 1.) Will the insurance company selling me the annuity be able to make good on its promises? 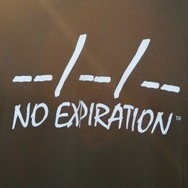 U.S. women currently are living 4.8 years longer than men from birth, according to the Social Security Administration. At age 65, a female has a 32.6% probability of living at least to age 90, compared to a 21.2% probability for a male of the same age. This longevity advantage means that women bear the burden of having to plan for longer retirements. Most married women need to plan for the possibility of outliving a spouse and having to make financial decisions alone at some point. Due to a combination of lower historic wages and time taken off from work to raise children, today’s retired women qualify for lower Social Security retirement benefits on average than men. In 2015, the average annual benefit received by women age 65 or older was $13,500, compared to $17,600 for men. 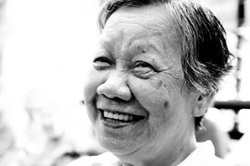 Several studies have indicated that women are more likely than men to become responsible for the financial, emotional and medical care of elderly parents or their own spouses. The subdivision of the family farm or ranch into residential lots or plowing under the soil to build the next mall or office building can be avoided. In this article you will learn about three common estate planning mistakes farmers and ranchers make and how you can help to avoid them. Before 2013, Medicare paid for SNF care only if a patient was still getting better. ﻿Annuities﻿ are complex products designed to meet a number of complex needs. For many, they are the lynchpin in a secure retirement. For many others, they are shrouded in mystery: How do they work, who do they work for, and when should they be purchased? Consistent revenues: Investment management is a retainer business compensated by success. Over time, the accounting firm can accumulate substantial assets under management resulting in reliable and significant revenues. The bull market: With the indices periodically reaching new heights, investing monies is appealing as the appreciation of client’s assets results in more revenues without the need to attract new clients. Client insight: Many accountants know how a client is doing when it comes to investing. This provides them the possibility of capturing assets from underperforming financial advisors. While there is no question that wealth management accounting practices can do very well delivering investment advisory services, it is not uncommon for these same practices to miss another – and sometimes greater – revenue source: life insurance. What is also very important to note is that by failing to address the life insurance needs of their clients, the accountants are actually doing them a disservice. Regulators limit what gains insurers can cite for ‘indexed universal life’ policies. Come Sept. 1, the marketing pitches for one of the hottest life-insurance products might become a lot less enticing. The product, called indexed universal life, relies on investment gains based on stock-market indexes. The policies promise annual interest based on formulas pegged to stock indexes. But a fight had broken out between life insurers that promote the policies and others that consider the policies too risky for people who need life insurance. After lengthy debate, state insurance regulators last month adopted a new guideline for marketing material used by insurers and agents. A key feature now is a limit on the annual investment gain that can be used to illustrate a policy’s potential performance. 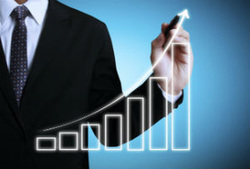 Sales of indexed policies grew 23% last year by a key measure of premiums, the strongest growth of any type of individual life insurance, according to LIMRA, a research trade association for the financial-services industry. Premiums from indexed universal life now represent one-fifth of all new individual life-insurance sales. In contrast, overall sales of individual life insurance—including combination savings-and-death-benefit policies with interest linked to insurers’ bond-heavy investment portfolios—grew just 2% in 2014.
lf you've been selling life insurance for any time at all, you know that it's an industry filled with jargon and acronyms. To be part of the insider's club, you have to speak the language. Harder still, you have to be able to translate that language for clients who barely know what an annuity is, let alone the ins and outs of a fifth dividend option. Now, it's time to test your industry knowledge. We've rounded up thirteen terms that separate the novice from the true insurance scholar. How many of them do you know? adhesion: There is no true bargaining or “meeting of the minds” in a life insurance contract. Bluntly, a policy owner can “take it or leave it” but may not bargain for specific terms or conditions. In other words, the party who buys life insurance must adhere to an established, preexisting standard contract and its terms. The law provides special protection to one forced to accept a contract of adhesion and, other things being equal, will interpret the terms of such a document in favor of the policy owner rather than the insurer. Now here’s a challenge: How do you build a business in a world where nobody works? Their ﻿income earning days﻿ are behind them. Even more difficult, how do you raise your visibility in the land of second homes and vacation properties? “The land where nobody works” is a misconception. People who relocate after completing their working career often ﻿choose their new locale﻿ very carefully. Retirees like college towns because they are surrounded by people of all ages. They also move to areas with great medical facilities because you never know when you might need specialized care. 5 Proven Ways to Respond When a Prospect Is "Too Busy"
The reason this is such a popular response with prospects is that most salespeople don’t know how to handle it. They’re easily put off and happy to call back later. Of course, now that the prospect has your caller ID#, they’ll know to let the call go to voicemail the next time they see it! The key to handling this stall — as well as all others — is to sidestep it and earn the right to ask a few quick qualifying questions to determine if you’re dealing with the right person in the first place. That’s exactly what the following rebuttals allow you to do. 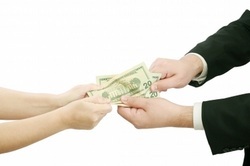 Here she gives a reader ideas about how to make sales more efficiently. Question: I want to reduce my two-call closes and increase my one-call closes. How can I accomplish that? Answer: We all want to significantly increase our sales of LTCI and other products, and closing on the first appointment is an excellent way to accomplish that. Gene Cutler excels at first-call closes. A New York agent and a regional sales director for ACSIA Partners, his first-call closing numbers are impressive: 80 percent for face-to-face appointments and 60 percent for phone appointments. For boomer or senior clients with sufficient net worth, moving money from low-yielding assets into life insurance can be a very smart investment. Even with the stock market reaching new highs recently, some investors are still reeling from the memory of the economic downturn of the previous decade and its aftershocks. As a result, there is a segment of investors who are risk-averse and have turned to low-yielding assets such as certificate of deposits (CD), money markets and cash. If investors have assets earmarked for their heirs in a CD, they may have sought the relative safety of this fixed interest vehicle. After all, many investors want to at least preserve the amount set aside for heirs. The cost for this safety is a very limited potential for growth in today’s low interest rate environment. The national average for CDs changes from week to week and varies according to duration. The rates are relatively low by historical standards, sometimes dipping below 1 percent. These low rates of return, compared with the current modest inflation of 2 percent to 3 percent, mean CD assets often lose buying power in today’s planning environment. These are the new opportunities for advisors and agents selling whole life policies. Life insurance sales have always hinged on the idea of love. Most individuals want to provide for those who are financially dependent upon them. The additional benefits are the living benefits for the policyholder. But for some prospects, especially those without devoted family ties, it can be very challenging to part with substantial sums of money with no opportunity to benefit themselves. The pendulum continuously swings between these two types of sales. Today there’s been a much stronger orientation towards the living benefits type of sale. In the ﻿whole life arena﻿, there are two prongs to the “What’s In It For Me” (WIIFM) sale. The first is cash accumulation and the key lever is the tax advantages inherent in a life insurance contract. Many purchasers believe that the different layers of government will continue to tax the richest 1, 5 or 10 percent of the country at even higher levels. Those same individuals are searching for ways to maximize the value of their assets. Do you have clients who worry about beating the index? Probably. But do you know what the top concern is for most clients? Health care. A recent survey by Merrill Lynch and Age Wave found that health care expenses are people’s foremost financial concern in retirement. Put another way, the number one potential threat in retirement is unpredictable health care costs. When you take a look at the numbers, it’s not surprising why many pre-retirees and retirees are fretting. According to the latest retiree health care cost estimate from Fidelity Benefits Consulting, a 65-year-old couple retiring in 2014 would have needed an average of $220,000 to pay for medical expenses during retirement. But are you average? Are your clients average? One question I get all the time when I talk with financial advisors is, “How do I tackle the low interest rate environment?” The perception is that all fixed products, including fixed deferred and income annuities (“fixed annuities”), are less attractive when rates are low. But what many advisors don’t know – and what they’re pleased to hear – is that there’s no reason to wait for interest rates to rise to optimize your clients’ retirement portfolios; fixed annuities can deliver real value to your clients now. Your clients are barreling towards retirement whether interest rates go up or not. For clients who are digging in their heels, hesitant to move until rates do, it is important to explain that there is a cost of waiting. Just consider what clients – no matter their risk tolerance – could have earned in the last few years from equity returns, the interest on a high yield fixed income product, or the payments from an income annuity, instead of waiting on the sidelines. The face value of life insurance policies lapsed, or surrendered back, to life companies annually by seniors over age 65 is enormous. So, why shame on all of us? This data illustrates that tens of thousands of seniors with billions of dollars of life insurance are forfeiting potential financial benefits from policies that are simply lapsed back to the carriers. Why is this so? 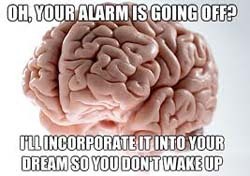 Lack of awareness! 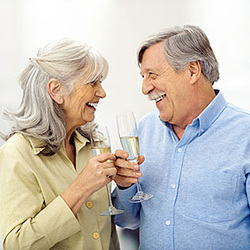 For example, a 2010 survey prepared for the Insurance Studies Institute reported that more than half of seniors over the age of 65 are not familiar with the option to consider selling their life policy. Further, 90 percent of seniors who have let a policy lapse would have considered selling it if they had known a life settlement was an option. Fast forward to today. It still amazes me that getting and keeping beloved clients is now the easy part of this business. Here are some of the steps we took to go from 20% of our prospects engaging us and following our advice, to over 90 percent. 1. We found a great niche that worked for us. How diversified are your clients with their life insurance coverage? The average client has quite a few different needs when it comes to life insurance. Some are temporary, while others are permanent. And some clients may even have needs they’re not aware of yet. So how do you find one policy that can meet ﻿all of their needs﻿? Most of the time, you don’t. You may just need to shift their way of thinking about ﻿life insurance﻿ coverage. A diversified life strategy can help you design customized solutions for clients, which can provide them with significant flexibility for changing needs. With this approach, clients allocate their total budgeted premium for life insurance needs among two or more policies in order to diversify among ﻿product types﻿ and policy durations. 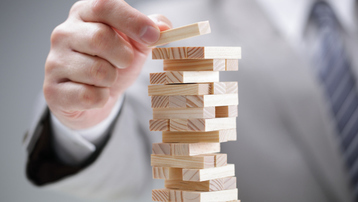 This helps meet multiple needs and balance product risk. People often don't realize that they're missing out on valuable employee benefits. Here's how one planner helps them get what's theirs.I’m talking with a client, Sarah, about her work benefits. “Are you signed up for disability insurance through work?” I ask. Since Sarah, who’s in her 30s, has at least 25 years until retirement, this insurance is a very important component of her financial plan. Sarah says she thinks she is. As an independent advisor, Steven A. Plewes enjoys the freedom to run his business as he sees fit. Working entirely from home through a cloud-based system, Plewes helps his clients — who span 20 states — reach their financial goals by specializing in wealth management and retirement planning. Careful to use annuities that are tax-efficient and low-cost when he can, Plewes believes that annuity products support his philosophy that one's portfolio is only as good as the income it can consistently generate. How do you spark interest in annuities? After experiencing the death of a dear loved one, and the terrible challenges that followed, my life was forever changed. However, my loss has become an inspiration to help others, particularly through encouraging other financial professionals to adopt end-of-life planning as a standard and routine part of what we do. The more I strive to educate families and train financial professionals on end-of-life planning, the more passionate I become about this unique and niche opportunity. In fact, in my entire 24-year career in this great industry, I can honestly say that nothing has been as satisfying, or as opportunistic, as specializing in end-of-life planning. Think about it. What could be more rewarding than helping families minimize or eliminate some of the most difficult emotional and financial challenges during one of the worst days of their lives in a situation where they are uncomfortable, unfamiliar, and unprepared? The report’s outlook for 2015 reveals that in the short-term, there should be a more favorable environment for growth in the U.S. because of the economic recovery and the chance that the Federal Reserve will raise interest rates in the second half of the year. Deloitte is also projecting an increase on both net household wealth and real disposable personal income over the next two years. This may signal an improvement in sales for life insurance and annuity products when combined with a falling unemployment rate, Deloitte says. If you’re looking to expand your client base and the range of services you provide, there may be no time better than now to educate your customers and prospects on the use of life insurance in business succession planning. With 28.2 million small businesses in America, according to the Small Business Administration (SBA), and with four of every 10 grappling with a ﻿﻿transfer of ownership issue﻿,﻿ the market seems primed for outreach. “Putting the client first”—do you consider it a central business philosophy or a tired cliché? If you fail to offer a product or service solely because you can’t make money at it, you’re squarely with the latter, no matter how much lip service you pay. Social Security is a prime example. Too many advisors (wrongly) imagine outdated stereotypes of nearly destitute senior citizens living on government-sponsored fixed incomes. Indeed, we’ve spoken with top advisors with hundreds-of-millions in assets under management and an equal amount in production who simply refer their clients to the local Social Security Administration office or the toll-free number. This is a bad move because as more baby boomers retire, they’re redefining what Social Security means, just as they’ve seemingly done with almost every other aspect of retirement. Term vs. Whole LIfe: Why Rent If You Can Afford to Own? For decades, I have studied and learned a wide variety of ways to explain the differences between term and whole life insurance.Regardless of how you choose to review the key differences with your client, their decision almost always boils down to cost: Is it affordable and will it fit into their budget? When you remove the real estate downturn and mortgage problems of the past six years, owning a home has traditionally been a much better long-term decision than renting. There are very few individuals or families who would willingly choose to rent rather than own a home if they could afford to own. Not only does ownership carry a psychological and status gain, but there are also long-term financial and tax benefits that make home ownership the better strategy. There is a strong connection between this analogy and the decision to buy whole life versus term. Offering disability income insurance is an excellent way to satisfy a very real client concern. Are you leaving business on the table? You probably are if you’re not helping clients protect themselves against an illness or injury that prevents them from working. Here’s how I’ve found success in making individual disability income insurance (IDI) an integral part of my business. According to LIMRA research, Americans’ top financial concern is having enough money for retirement. This is even more pronounced with Generations X and Y consumers, where 75 percent list saving for retirement as their top priority. Hat’s off to the financial services industry for doing such a remarkable job of promoting the importance of saving and planning for retirement. However, sometimes the plans we make simply don’t turn out as we expected. Sometimes people don’t live to enjoy retirement. Life insurance provides financial security to your loved ones when you are unable to. Our industry needs to balance the message of saving for retirement with the message of protecting against the unexpected. There are 58 million households underinsured, according to LIMRA research. Seven in ten families with children under 18 — that’s 11 million families — would be in financial jeopardy if the primary wage earner died. We need to do a better job of conveying the value of life insurance as part of a holistic financial strategy. Why don’t people buy life insurance? 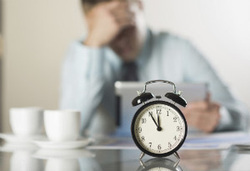 Twenty-seven percent of working adults think they have a greater chance of being audited by the IRS than experiencing an illness or injury that prevents them from working for a period of time. The actual odds? One percent for an audit vs. 25 percent for being out of work. The Council for Disability Awareness' new report, "America's Income Protection Picture," identifies several factors preventing many full-time working adults from insuring their income. And the majority of consumers believe their income is one of the "most important things in life." Access the full report here: http://disabilitycanhappen.org/research/consumer2014/. Whether a millennial at the start or height of her earning years, or a baby boomer saving for retirement, a consumer's ability to work and earn an income is probably his or her most valuable financial resource. Yet 57 percent of working adults surveyed said they lack disability insurance, which is one of the best ways for a consumer to replace a portion of his income if he or she can't work for several months – or even several years – due to an illness or injury. Long-term care insurance isn’t dead. What is true is that the industry is down this year — by some accounts as much as 32 percent. Here’s a look at three reasons for the slowdown — and five ways to respond. Life insurance producers face each New Year intending to make it the best one yet -- a banner year. But as we all know, it takes more than even the best intentions to be successful in our business. Even though there is an abundance of good advice on how to﻿ pump up production﻿, all too frequently the results at year’s end are below expectations. My job includes getting acquainted with producers and following their careers, and it’s abundantly clear that the most successful individuals focus on a few issues. I call it “A Life Insurance Producer’s Four-Point Plan of Success.” It may be helpful in the year ahead. Margie Barrie, a veteran long-term care insurance (LTCI) agent, marketer and educator, has been writing articles about long-term care (LTC) planning and related issues for several years. Here, she takes a question about simple, effective ways to increase sales. Q. I’m always looking for great ideas to increase my sales and grow my business. Can you provide some suggestions? A. Here are two ideas to consider adding to your marketing strategy. They are provided by Stana Martin, an ACSIA Partners agent from Kansas City, Mo., who happens to have a Ph.D. in communications. The first question is about clients who try to put you off. Starting next year, the government will offer some seniors enrolled in private Medicare Advantage insurance an opportunity to leave those plans if they lose their doctors or other health care providers. 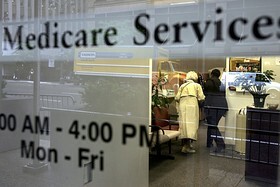 The Medicare Advantage policies cover 16 million seniors and are an alternative to the government-run Medicare program. 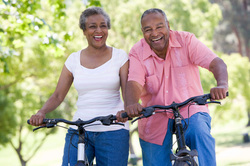 Medicare Advantage members can get care only from a network of providers under contract to participate in their plan. They must remain in their plans for the calendar year, with some rare exceptions, but losing their doctor has not been among the permitted reasons. Who knows what will happen to product terms or prices, but Ebola may be sales rocket fuel for anyone trying to persuade young doctors to max out on disability insurance. Dr. Marcus Spencer, a 33-year-old medical doctor, has suddenly become one of the most famous people in the United States, for a few days, by becoming the first person in New York City to have a confirmed case of Ebola. Spencer may be in isolation for weeks. Some of the doctors and nurses who care for him may end up facing restrictions on activities of their own, either because they themselves come down with Ebola or because of safety precautions. It's not clear how Spencer's usual employer, the charity that employed him as a volunteer in Guinea, or the hospital that's treating them will handle any Ebola-related quarantine or isolation time, but the situation has forced hundreds of thousands of health care providers around the country to think about how they would pay their bills -- including sky-high student loan bills -- if they were off of work for the standard three-week Ebola exposure quarantine period, the six-week period recommended by some, or even longer. As an adviser, you are confident and skilled when it comes to selling the products that make up your core business. Products such as long-term care, health and life insurance can help prepare your clients for the unexpected. However, you may be leaving money on the table — and exposing clients to risk — by not selling one product that can help protect your clients’ income and maintain their standard of living: individual disability income insurance. Many agents recognize the need for their clients to buy IDI, but struggle at effectively proposing it. However, there is a natural segue to IDI from just about any insurance or investment product. In many instances, the timing may be ideal if you are putting your client through medical underwriting for another purchase. For clients who have recently started to see rebounding 401(k) values, the prospect of allowing those funds to remain exposed to market fluctuations may seem too great a risk as they near retirement age and begin to crave retirement income guarantees. Fortunately, options exist to allow these clients to take control of their risk exposure using their 401(k) funds without actually waiting until retirement. 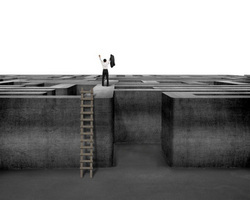 By taking advantage of little-known IRS rules that provide for in-service 401(k) withdrawals, the client can use funds that are already earmarked for retirement to implement an annuity strategy that guarantees income during retirement — without incurring a single penalty — while they are still working and contributing to the 401(k). As a broker, you are poised to profoundly affect your client’s financial decisions by bringing them sound advice and recommending the best vehicles for their hard-earned retirement dollars. Many brokers have found that recommending a fixed annuity can help clients gain an advantage and maintain peace of mind leading up to and during retirement. Many potential purchasers are unaware of the benefits of a fixed annuity purchase. Consider the following misconceptions clients often have, and learn how you can help inform them about how an annuity can actually help them realize their objectives for retirement or financial planning for beneficiaries. A financial calculator can be one of the best investments an advisor can make. I purchased an HP 12c financial calculator when I opened my practice in 1985. Now, I have an app on my iPhone that functions the same way. It’s called HP 12c lite. This little calculator has closed many sales for me and it is an excellent prospecting tool. Try this: Ask a prospect what average returns they have been getting for the last 10 years. Their first answer will almost always be, “I don’t know.” Shocking! It is beyond my comprehension that anyone would not know, to the decimal point, what his or her earnings are. Can you imagine someone not knowing their salary for their job? Preposterous! However, many seem to be unaware of their actual returns and their potential returns elsewhere. If they are averaging 10 percent and you may be able to improve that by 5 percent per year, the difference is staggering. 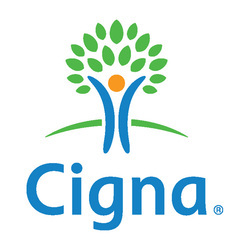 The Cigna analysts found big, lingering gaps in the benefits survey participants had and the benefits they wish they had. About 63 percent of the participants said they had dental insurance -- but only 7 percent of the remaining 37 percent said they were not interested in owning dental insurance. Thirty percent said they wish they had dental insurance. That one was easy to answer. (I was.) Once we started discussing his goals, however, I realized that I was not the right fit for the meeting. So I happily recommended one of my colleagues. My would-be client was surprised that I was so willing to turn over business to a competitor. While I consider my competition to be “friendly,” nevertheless, I was turning away business. 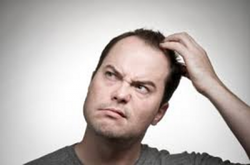 But why is this generation not reaching out to advisors, when a lot of surveys and reports indicate that they are interested in financial advice, planning and buying life insurance? In honor of Life Insurance Awareness Month, here at LifeHealthPro.com we asked a few of the industry’s experts on millennials and insurance how to reach out to this digital-native generation. We hope that their responses will give you ideas on how to sell life insurance to Gen Y. The annuity purchaser demographic is changing. What was previously thought of as an investment strategy for retirees is now making a foothold with a younger group of investors — a group that understands the need for a sound retirement investment strategy. Savvy younger investors want progressive brokers who can help them build a creative and lucrative retirement package. Here’s how you can do it. Although retired baby boomers may still be the bread and butter of brokers’ fixed annuity sales, smart brokers are shifting part of their efforts to focus on a slightly younger age group. And for good reason. A Gallup and Committee of Annuity Insurers survey found that nonqualified annuity owners are an average of 51 years old at the time of their first purchase. In addition, nearly 40 percent of these first-time annuity purchasers were younger than age 50. 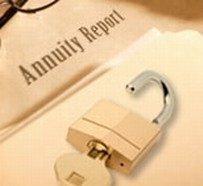 According to a recent LIMRA study, half of all annuity purchasers are under the age of 60. As traditional stand-alone long-term care insurance policies have become more costly, financial advisors are likely to be hearing more objections related to both premium expense and to the "what if I don't use it" effect. While most clients typically aren't disappointed if they never file a claim on their homeowners or auto insurance policy, for some reason with long-term care insurance, the use-it-or-lose-it objection seems to be a real biggie. Luckily, there is a way to cover this potential need without having to buy a separate long-term care (LTC) insurance policy. In responding to both consumer and agent demand, insurance companies have recently come up with "hybrid," or linked, policies. With these plans, the benefits of both an annuity and long-term care, for instance, may be used. Yet, if the client never needs long-term care, he or she doesn't "lose" because the benefit of using the annuity for retirement income remains. Licensed to Sell... and Stay Compliant! There have been a number of significant developments in state actions against sellers of annuities that provide great insight into what regulators and prosecutors are watching these days. In the last issue of Annuity Outlook Magazine, we spoke about the “State of the States” on these same pages and provided a list of what was happening in various states. In this issue, we will focus on what we’ve learned from these activities and what you should be doing to protect your annuity sales business and ensure you are both compliant and successful. 1. What licenses should I get? 2. What designations may I use? 3. How can I be sure my seminars, website, and marketing materials are compliant? In the past, while thinking about topics for blog entries, I've thought about the concept of "risk reduction marketing" -- efforts to reach out to prospects and clients with ideas and swag that may actually help keep people comfortable and safe. Long-term care insurance (LTCI) marketers could consider emphasizing what great, helpful, insightful people they are by using small, inexpensive flashlights as novelty giveaways. The recipients might use the flashlights to look inside their noses and cabinets on ordinary days -- and to stay safe during blackouts. Studies conducted since the 2008 crash reveal everyone is a bit more conservative. Even more, Gen Xers in their 40s said they want even greater certainty about retirement income than Baby Boomers did. A financial adviser explains that when you hear only what you want to hear, you can end up making some bad money choices. Allison sat in my office, singing the praises of an annuity she had recently purchased. She was 64 years old, and she had come in for a free initial consultation after listening to my radio show. “Start telling stories from the audience perspective and you start to gain their attention,” said Harnett, in an interview with InsuranceNewsNet. So what should you do? Rather than trying to give a quick overview of your offering, tell them a story. Be prepared to share a real-live customer scenario which you know will appeal to them. Sometimes one of the greatest ways to provide great customer service is to give something of value away for free. It doesn’t have to be anything big or expensive. It can be something small—even really small. It just has to be valuable to the customer. Think about the owner of a restaurant who buys his regular customers a drink or a dessert. Actually, that’s not small enough. I’m talking really small—something that costs your only a dollar or two. Forgotten something? Why offering disability income protection should be part of your practice. Working as an expert witness in life insurance claims denial cases for more than 15 years, Jim Bullock of the Peel Institute has seen his fair share of agents forced to defend their actions in court after a client was denied payment. 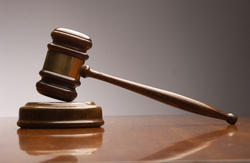 The number one thing that lands life insurance agents in the witness box? Sloppy work on initial applications. The cost of long term care continues rising at a rate outpacing inflation creating significant financial planning challenges for the nearly 12 million Americans currently in need of long term care services. According to the Genworth (NYSE: GNW) 2014 Cost of Care Survey released today, the cost of receiving in-home care continues to rise, though at a more moderate rate of growth. Over the past four years, the Insured Retirement Institute (IRI) has seen baby boomers’ confidence in their financial preparations for retirement steadily dropping, with only about a third optimistic about their situation. In early 2012 I posted a blog on a change I had made in my business structure. Specifically, I closed the LLC and changed to a C Corp. That blog garnered a lot of good comments, as many advisors were interested in reducing their own tax burden. That year, 2012, was the first in which I filed as a C Corp and 2013 will be the second. Now that I have had some time under the new structure, I thought I'd reveal the results. But first, a brief background is in order. Top annuity concerns are “relatively easy to address with additional information and ideally access to financial advice”. Long-term health care products are evolving quickly, in some cases being combined with annuities or life insurance policies, and advisors need to keep up with the changes, says one consultant. Part of their planning will likely include considering a long-term care policy. The Medicare Advantage Disenrollment Period begins on January 1st and lasts through February 14th. Consumers perceive annuities more positively than financial professionals give them credit for, according to The Future of Retirement Income, a new study released by Genworth. Nearly 10,000 baby boomers are turning 65 every day, and they will for the next 16 years. 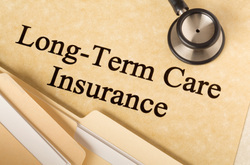 Where will they get the money to purchase long-term care insurance (LTCI)? 2014 enrollment season marks a first for Cigna to market comprehensive Medicare offerings nationwide, result of HealthSpring and Great American Supplemental Benefits acquisitions. Indexed UL crediting bonus is the latest in a long list of no-charge upgrades for Securian policyholders. Generation X investors are in a prime position to step up their life insurance coverage, but advisers are missing the boat on the opportunity. It’s September, and Life Insurance Awareness Month (LIAM) has arrived. Life insurance and annuity producers should be taking advantage of this opportunity to market their services to clients. What are your prospects really saying? The hidden subtext of some common objections.